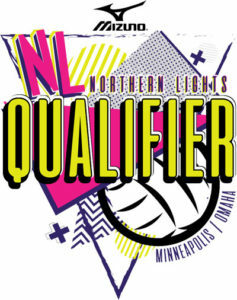 Northern Lights Qualifier – Join the IPV family! Saturday April 20, & Saturday April 27 will be designated as the Dig Pink Days. Please let your teams know about this and encourage them to wear something pink that day! Admission is required for all spectators over the age of 6. This year you may purchase a 3 day weekend pass on-line ahead of time to avoid the long lines at the ticket windows. A 3 day pass purchased on-line is $30. The price at the door is $35. Visit our on-line ticket web page for more information. Please advise all your parents of this option so they can avoid the long lines and receive the discounted on-line ticket price. You may also purchase in the lobby of the Minneapolis Convention Center a tournament weekend pass either for $35, or single day tickets for $12. Payment forms which will be accepted at the convention center are cash only. No checks or credit cards will be accepted. Players and up to 3 staff will be given credentials when they check in their team. Directions for reserving a room: Reservations MUST be completed by Friday, Feb 1st. -Scroll down to the first available room to enter your reservation information. Dates for the room will be Thurs, 4/25. Checkout is Sun, 4/28. -Once completed click Book Room at bottom of page, then Confirm. You should receive an automated confirmation from THS. *The hotel will not have a record of your reservation until the week before the tourney. Direct your questions to us or THS. Once the hotel receives and enters the information in their system you will receive a confirmation # to use at check in. *Reservations MUST be completed by Friday, Feb 1st. Extra rooms will be automatically dropped from our block of rooms. Balls are provided for warm-up. Do not bring balls. Playing schedule will be posted on www.TM2sign.com 3 days prior to event. The list of College Coaches who registered for 2018 April event can be found below. Links to the lists for 2019 will be updated as soon as they become available.